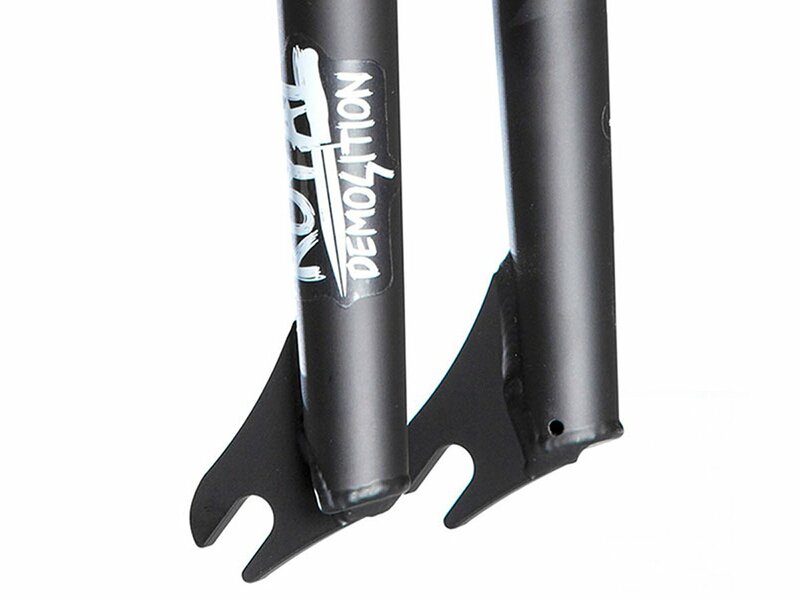 The Demolition "Royal" BMX Fork is a modern and very high quality manufactured BMX fork made of 100% heat treated 4130 CrMo. A 1-pc. 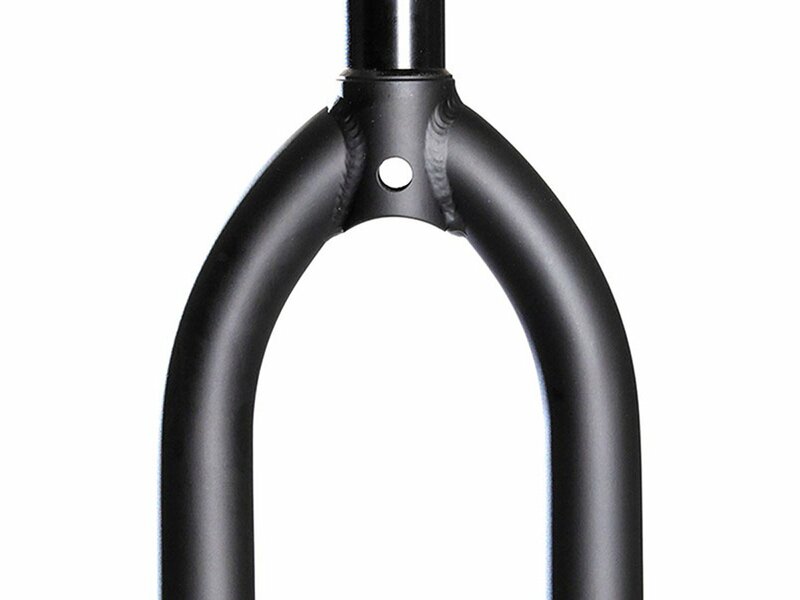 CNC machined steerer and the heat treatment process provide solid stability and moderate weight. 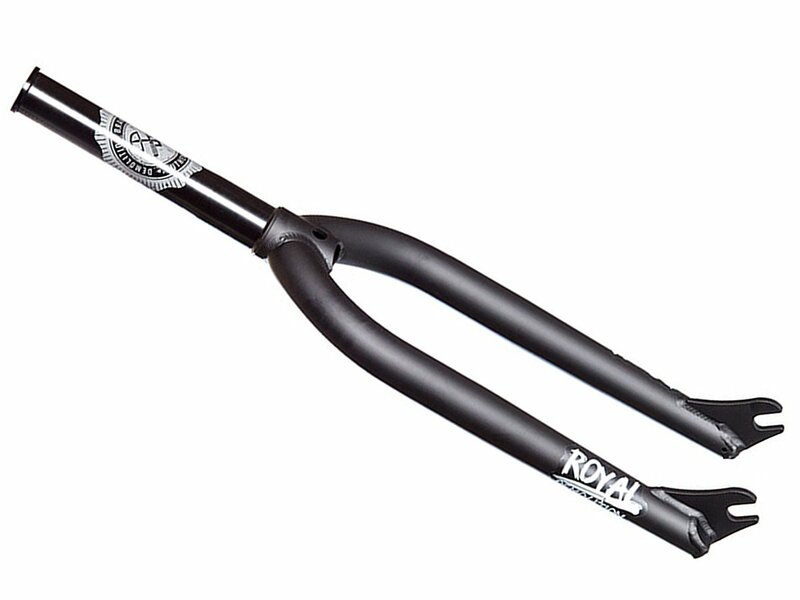 The Demolition "Royal" BMX Fork comes with 26mm offset and offers enough space for peg mounting. The integrated bearing race allows you a uncomplicated installation and tapered fork legs offers you enough space for 2.4" inch wide tires.